Yoon Eun-Hye is a South Korean actress, singer, entertainer and model. She debuted as a member of the popular K-pop girl group Baby V.O.X. She has left th group in order to pursue acting career in year 2005. She had performed her first major acting role in popular Korean drama, Princess Hours (also known as “Goong”) as Shin Chae-gyung. This role propelled her to stardom. 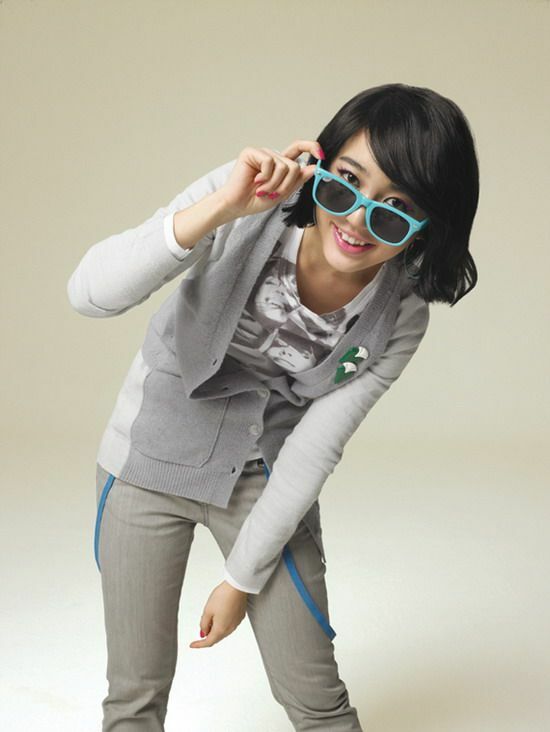 Due to successful of her first drama, Yoon has continued acting in other dramas such as The Vineyard Man. Yoon’s second lead role was The 1st Shop of Coffee Prince, where she plays the employee Go Eun-chan at a coffee shop, who was once a master of Taekwondo. With her short haircut and tomboyish ways, she is presumed to be a boy by the owner of the shop, thus leading to romantic complications. Her successful performance in ‘Coffee Prince’, has put her in the list of being one of the best actresses in Korean entertainment. In 2009, Yoon Eun-Hye has opened her own management TheHouseCompany. This entry was posted on Sunday, June 28th, 2009 at 12:03 am	and is filed under Celebrity News. You can leave a response, or trackback from your own site. 2 Responses to "Yoon Eun-Hye Profile & Biography"
I hope to meet you take care. hi yoon eun hye! i have seen all your movie series and i like them all. your the best korean actress for me aside from that ur the prettiest korean movie star. i wish that you will have a movie series with lee joon ki, you two are my most favorite korean actors. that’s all, take care my dear yoon eun hye and more blessings to come. i wish to know more news about you specially about your love life.